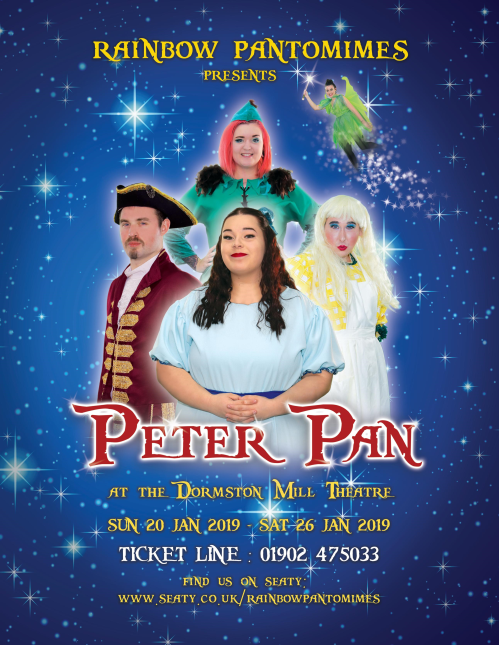 As a member of Rainbow Pantomimes you have unrestricted access to requesting tickets. If you close your eyes and count to ten, breath in twice, then open them...you will find yourself, in Neverland! So come along, join in the fun and don't forget your fairy dust, for you never know, where our journey may take us! 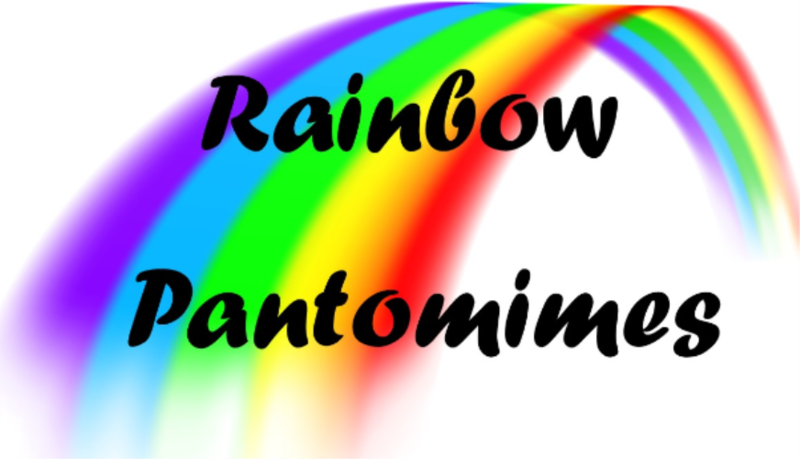 Rainbow Pantomimes have been producing pantomimes for over 25 years! And we intend to keep that going! Our Mission? To create incredible pantomimes, whilst having an unprecedented amount of fun, with individuals that you may not interact with in your everyday life! Rainbow is not just a pantomime group, it is now a way of life and a family! The Dormston Centre boasts a 345 seat purpose built theatre with a fully equipped sound and lighting control box and motorised Orchestra pit. It has tiered seating in three blocks and provides perfect acoustics and visibility for all of the audience. The entrance is through the Centre providing ample meeting space with a fully provisioned bar for your patrons. There is on site parking available with an overflow pay and display car park next to the centre. Opposite 'The Clifton' pub, next door to 'The Red Lion' Please do not block any residential properties or park in unauthorised zones. Tickets will be non-transferrable between parties. Once tickets have been booked, the seats chosen/allocated can NOT be switched. Seats reserved without payment will require FULL payment two weeks after the booking request. Reservations not paid within this time will be lost and reopened to the public. Printed tickets/Barcode tickets MUST be presented at the door otherwise entry to the event will be denied.